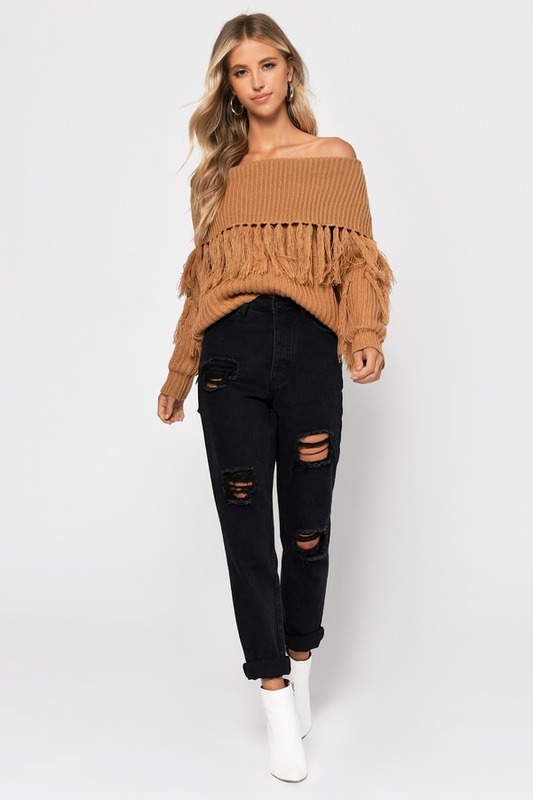 Check out Tobi's One More Fringe Sweater Feel it all in the One More Camel Fringe Sweater. 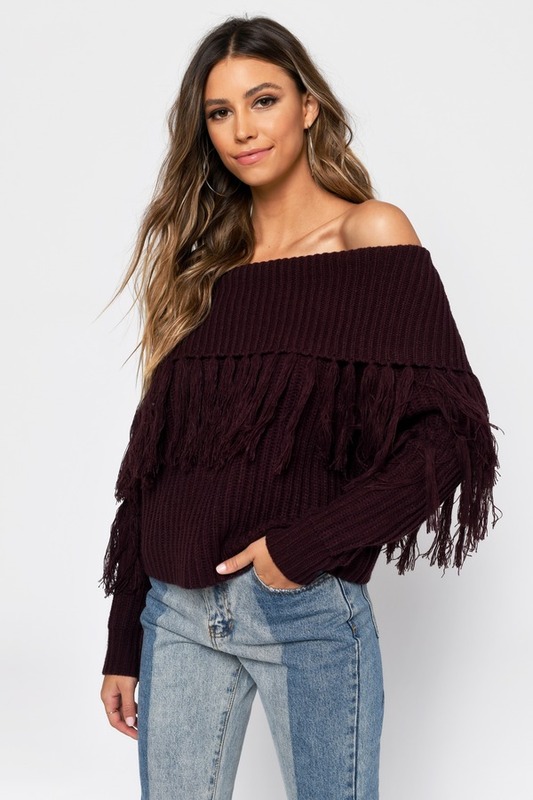 This off shoulder sweater features a bardot neckline foldover with fringe and ribbing throughout. Pair this oversized fringe sweater with tight pants and boots. Feel it all in the One More Black Fringe Sweater. 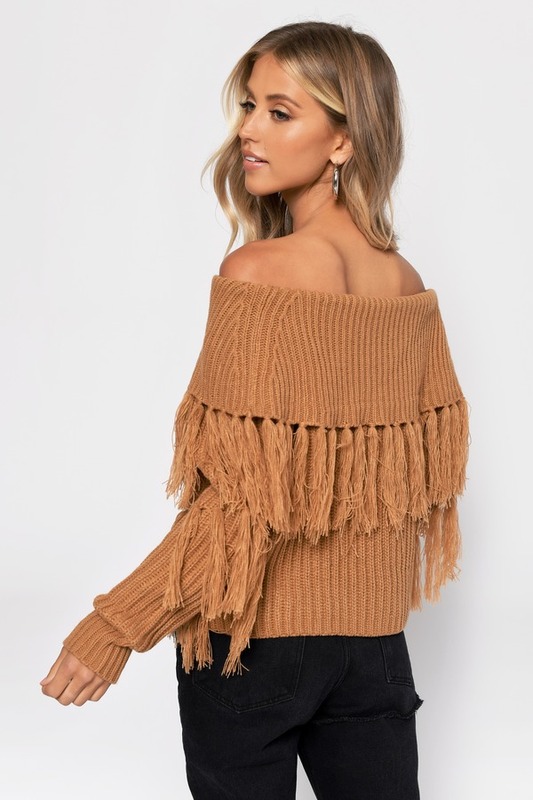 This off shoulder sweater features a bardot neckline foldover with fringe and ribbing throughout. 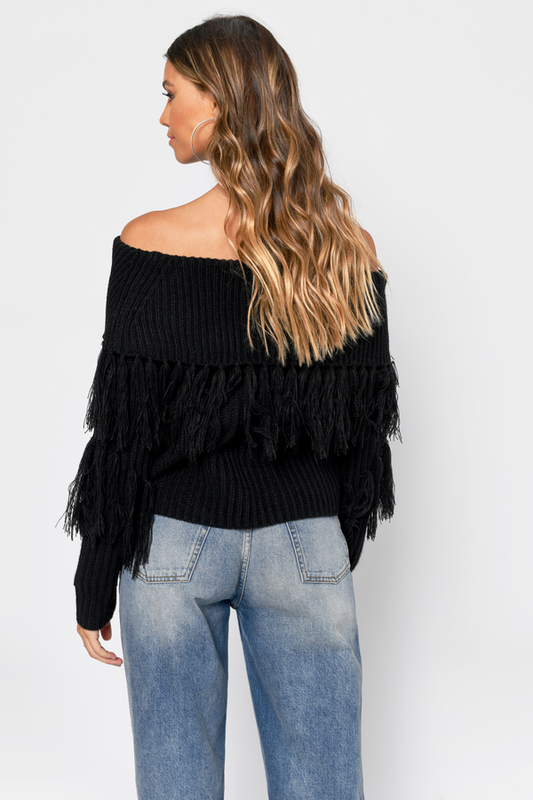 Pair this oversized fringe sweater with tight pants and boots. Feel it all in the One More Camel Fringe Sweater. 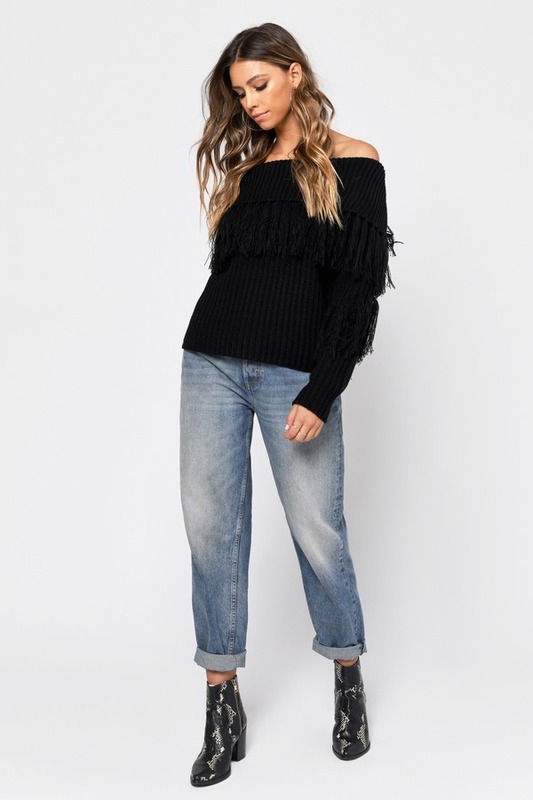 This off shoulder sweater features a bardot neckline foldover with fringe and ribbing throughout. Pair this oversized fringe sweater with tight pants and boots. 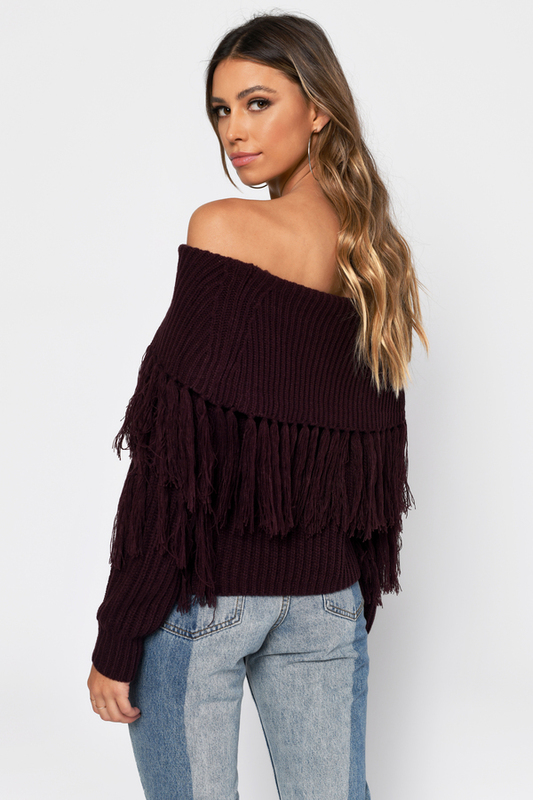 Feel it all in the One More Wine Fringe Sweater. 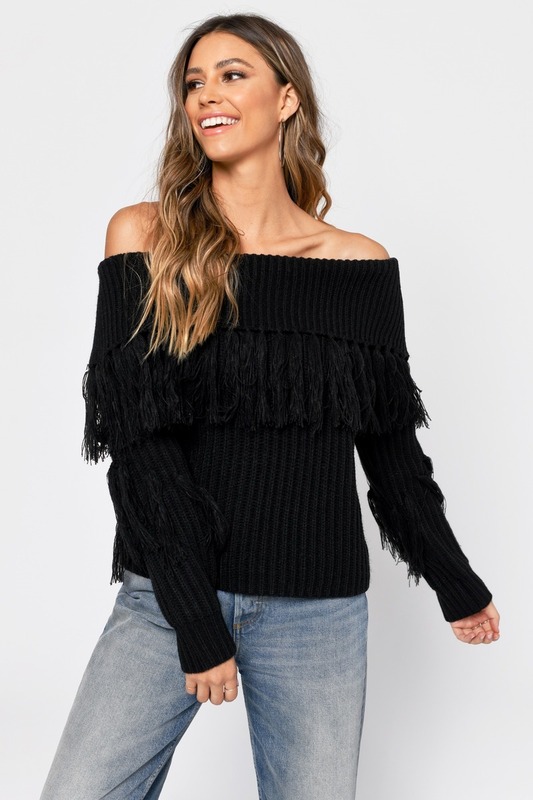 This off shoulder sweater features a bardot neckline foldover with fringe and ribbing throughout. Pair this oversized fringe sweater with tight pants and boots.